Remove dough from can. Cut into 18 half-inch-thick slices. 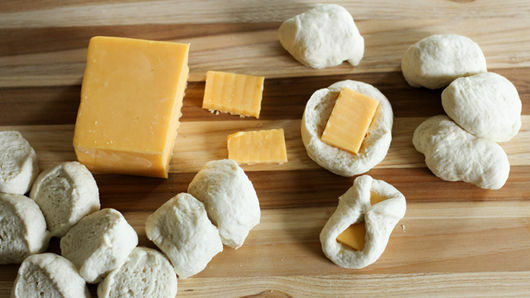 Gently stretch and flatten each dough slice; wrap dough around 1 piece of cheese, making sure to seal cheese completely inside dough. 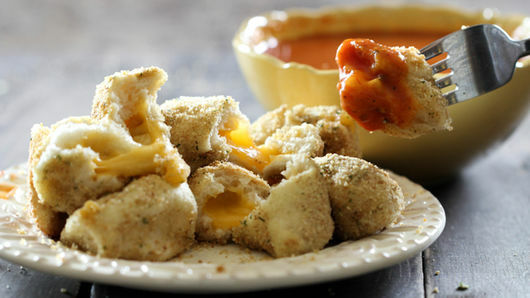 Repeat with each piece of cheese and slice of dough. 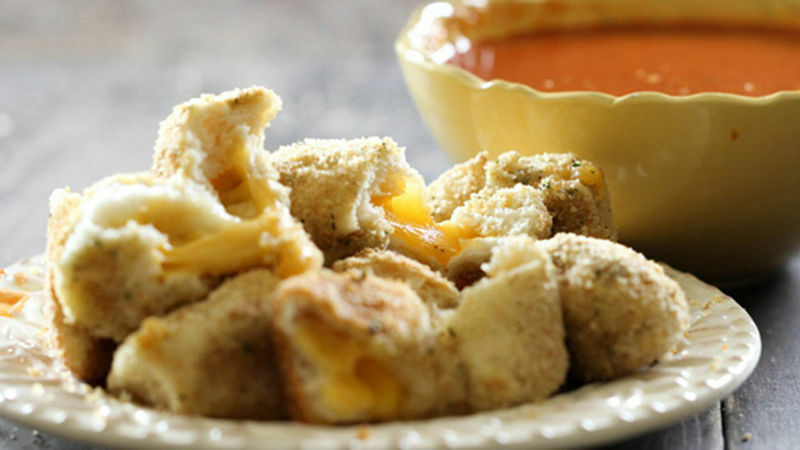 Quickly dip each dough-wrapped cheese into melted butter; very lightly coat with bread crumbs. 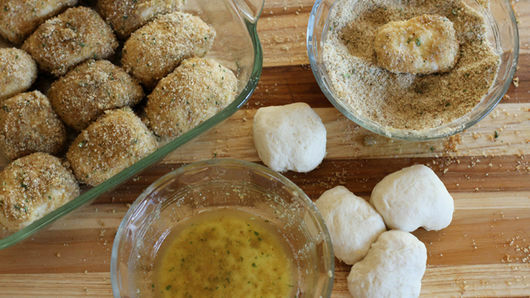 (Do not use too many bread crumbs, just enough for a little texture and flavor.) Place wrapped cheese in 3 rows in pan. Bake 30 minutes or until tops are golden brown and center rolls are no longer doughy. Meanwhile, heat soup as directed on can. Serve warm bread with hot soup. If center “pull-aparts” are still doughy at 30 minutes, cover baking pan with foil and continue baking until they’re thoroughly baked. The foil will help the tops from burning. 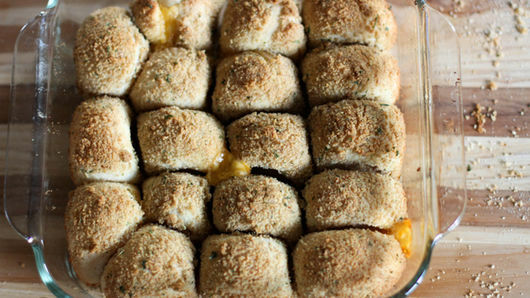 Try serving these Grilled Cheese Pull Aparts with a light spinach salad on the side.